Attendance numbers of 32,000 + were publicized. The aisles were almost always full Friday and Saturday. Wednesday is historically slow, and Sunday is a getaway day made worse this year by snow from north of Dallas south to Waco. 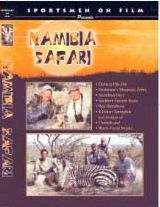 Lad Shunneson and I booked several hunting and fishing trips, and we talked with dozens of hunters seriously interested in hunting Cameroon, Uganda, Namibia, Iran, and North America. My booth numbers are 521-523. This will be my 26th consecutive year. My son lives nearby, so I will ski for two days before setting up my booths where I will again represent UGANDA WILDLIFE SAFARIS (with whom I hunted in 2010 and produced a DVD), and MASHETE SAFARIS - NAMIBIA (with whom I hunted in 2006 and produced a DVD) and JAGDKONTOR SAFARIS - EUROPE (with whom I hunted several countries in 2007 and produced a DVD). My booth number is 228. I will be representing Esrafil Shafizadeh of Jasmin Safaris - Iran. That's right ... Iran!!! More to follow. 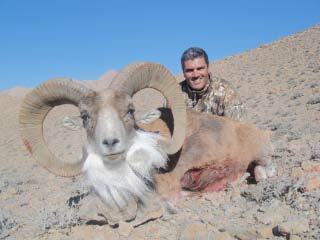 Assisting me will be Emil Aliyev of Worldwide Safaris who outfits hunts for Eastern Tur in his native Azerbaijan. 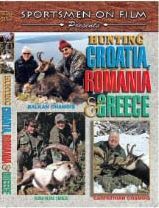 Secondarily, I will be booking mountain hunts offered in Europe, and three unique hunts for those seeking the North American 29 (Tule Elk, Woodland Caribou, and Newfoundland Moose). Note: I have only one tag left for Tule Elk in 2010 and only two for Woodland Caribou. Also, our Newfoundland Moose hunt consistently produces 45-50" bulls and always sells out. Chris Weth of Uganda Wildlife Safaris reports that his 2011 season has started and will continue through November. After the battle between the hunting and non-hunting interests was settled in favor of hunting by the Uganda Supreme Court, quotas have been issued with an increase in numbers for the Kafu and Aswa Lolim Concessions operated by UWS including for the all-important Nile Buffalo and East African Sitatunga. Also, all trophies shot in 2010 are expected to be shipped by the end of this month. If you are interested in Uganda, call or email me for the details because the 2011 season is already more than half booked. Call or email me if you are interested in the pricing to hunt any or all of the 7 species of Sheep and 2 species of Ibex recognized by Grand Slam Club/Ovis. 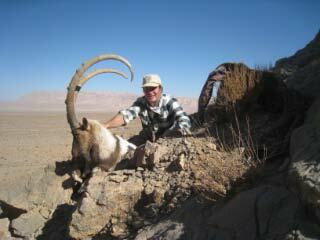 I book for Jasmin Safaris - Iran, which has a long history of excellent success on all their hunts throughout Iran. It takes about a month to get a visa, but travel is easy. I will fly non-stop to Tehran from Amsterdam, and I can return from Tehran to San Antonio the same day.